Give the Earth some love today! Today is the day… Earth Day. Time to start to be more green or continue our quest. Plant a tree! I am on the hunt for a lemon tree. Plant and grow your own herbs. It doesn’t have to be big start small. My new pretty crop outside my kitchen door is filled with basil,parsley,peppermint,rosemary and spearmint. Try reusing your small plastic and paper bags from shopping and line your garbage bags with them. Grab another for your car to tidy up your car after the day. Save and recycle those extra hangers you may have from the dry cleaners.Next time you have clothes to be dropped off for dry cleaning again give them to the cleaners for reuse. Need an instant lip conditioner and don’t have any or want a quick fix? Dry lips can be smooth in seconds. Just got to your kitchen closet and grab some organic coconut oil. Swipe a 1/2 teaspoon or less into a mini bowl and apply on your lips. Any extra can be rubbed on your cuticles to soften them up. Make fruit or veggie infused water daily. Fill it in a to go bottle and enjoy on the go all day. Or just have a pitcher handy with a fun yummy mix. So much better for you than a sweet tea,iced coffee or soft drink! Oily skin or hot flashing? Start using Asian Powder papers. 70 sheets of joy to a booklet that fits in your purse for on the go refreshment and touch ups. Did you know there are bamboo and other eco-friendly and vegan loving makeup brushes? Give them a whirl. Shop with using reusable totes. Say Bye Bye to plastic straws…they not only cause wrinkles around your lips they are bad for the earth. So enjoy a little green in your life and do some good too! Take time to smell the daisies,herbs and grass today. I hope you are loving her today! Say no to styrofoam cups,skip the plastic straws and recycle,repurpose and reuse! http://www.voidlive.com a cool magazine based in Jacksonville Beach, Florida. ENJOY! 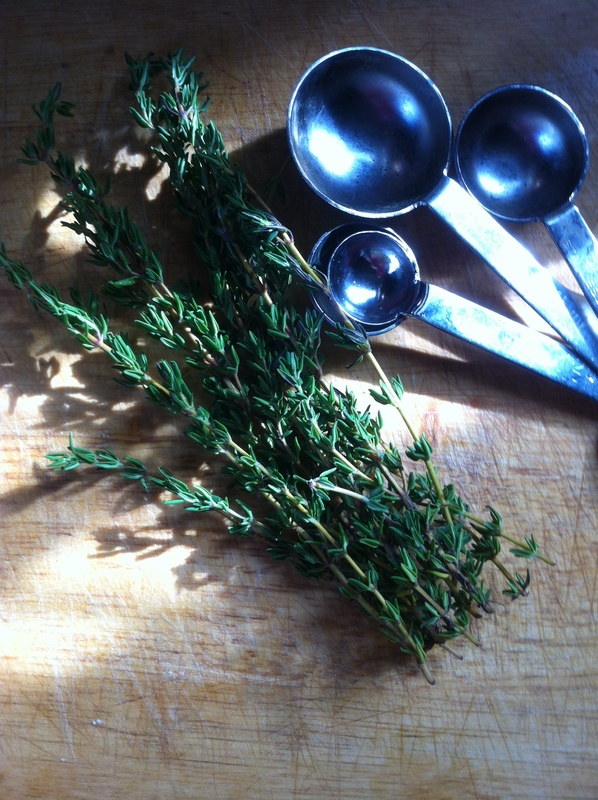 If you’ve got the thyme! My weekend when not guest speaking out of town or painting a sports celebrities face is spent not only working in my makeup studio painting pretty faces and spirits but also stirring up some beauty. I had some left over thyme from a chicken recipe I cooked for my husband and was in a lemony mood. So here is what I whipped up…A YUMMY SCENTED and fabulous exfoliating hand and body scrub! Stir them all together with a whisk OR a portable hand mixer/blender. Creamy and sugar with a lemon scent twist. After this was all done. I sprinkled the mixture with a few torn pieces of thyme. The herb thyme has benefits but I LOVE the way it looked in the scrub. Add a mini wooden spoon and you have a sweet exfoliating gift for yourself or someone else. Something to do over these cold wintry months and take care of your skin too. Enjoy this from a beauty who is a true foodie. Oops almost forgot I added the zest of lemon on top of the jar before I put the lid on and shook it back and forth. Sometimes it happens your favorite blush,bronzer or powder compact gets damaged in tons of tiny pieces when your luggage gets tossed around in travel. Never fear don’t throw it out my dear! Be eco chic,reuse,recycle and make it new again. 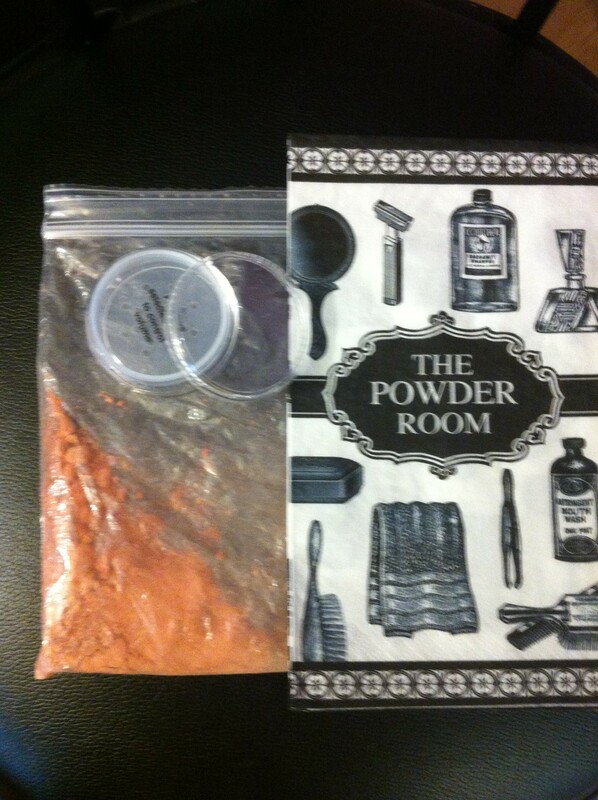 1.Take all the tiny pieces and powder and place in a baggie. 2.Now, find one around your house or buy a mini jar preferably with a sifter. 3.Fill the jar with the crumbled pieces and powder and shake the baggie back and forth. 4.Mixed and you’re good to go! 5.Apply the product with a powder brush or blush brush. See D.I.Y. can be fun and saving money feels fabulous doesn’t it?